In Different Trains Steve Reich juxtaposed his music with reminiscences about the Holocaust to create a contemporary masterpiece. 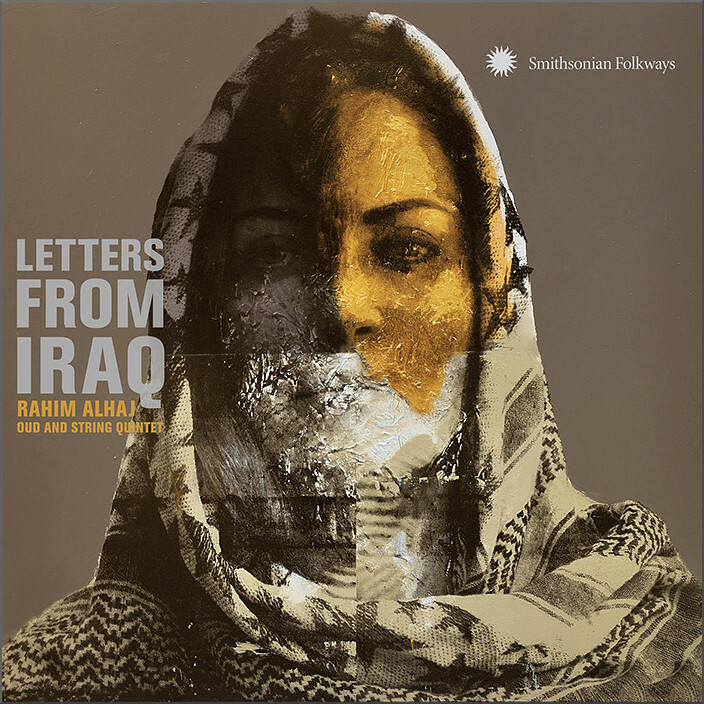 In Letters from Iraq the Iraqi-American composer and oud player Rahim AlHaj takes the reminiscences of those - including himself - who have suffered in Iraq since the 2003 U.S. led invasion as inspiration for eight instrumental tone poems; sample below. Letters from Iraq draws on both Middle Eastern and Western musical traditions and is scored for oud, percussion and a string quintet which for the newly-released recording was drawn from members of the New Mexico Philharmonic. The album is on the Smithsonian Folkways label and the 40 page booklet includes striking paintings by Iraqi visual artist Riyadh Neam. Rahim AlHaj explains that: “Music can make us laugh, make us cry, make us march into war. I want to make music to make us realize peace”. Letters from Iraq is protest music par excellence with one of the tone poems depicting the carnage of a car bomb explosion witnessed by Alhaj’s nephew, who could not flee the scene because he was born with underdeveloped legs. Steve Reich's Different Trains and Dmitri Shostakovich's Leningrad Symphony speak powerfully of past humanitarian tragedies, while Letters from Iraq speaks powerfully of a contemporary humanitarian tragedy. Writing about Rahim AlHaj's first album for Smithsonian Folkways, I deplored how the contemporary culture of the conflict-torn Middle East is becoming increasingly marginalised, and in another post highlighting a new release by exiled Syrian musicians, I pointed out that important music is growing in the killing fields. Letters from Iraq is yet another reminder that the Western classical tradition does not have a monopoly on music that is deeply moving and relevant to our contemporary predicament. Thank you so much for creating this post. AS a result I downloaded the album and ever since it has pretty much remained on my (virtual) turntable. I find it very involving, moving music and rather beautiful too. My album of the year, I think.